Get comfy & stay a while. I am a health & wellness enthusiast, Marketing Specialist, Plant Based recipe developer + Yoga Teacher. Inspired to share my adventures living fully & intentionally,while embracing the magic of everyday. -1 Tblspn Cacao Magic Super Food Powder by Philosophie. -Small handful Vegan Chocolate Chips- I get mine from Trader Joe's, the bittersweet ones. Warm milk on the stove, don't boil. When steaming turn off heat & whisk in Chocolate Chips till dissolved. Let cool a few moments & transfer to a blender. Add Cacao Magic & blend for 30-60 seconds. It will be so nice and frothy! ENJOY! 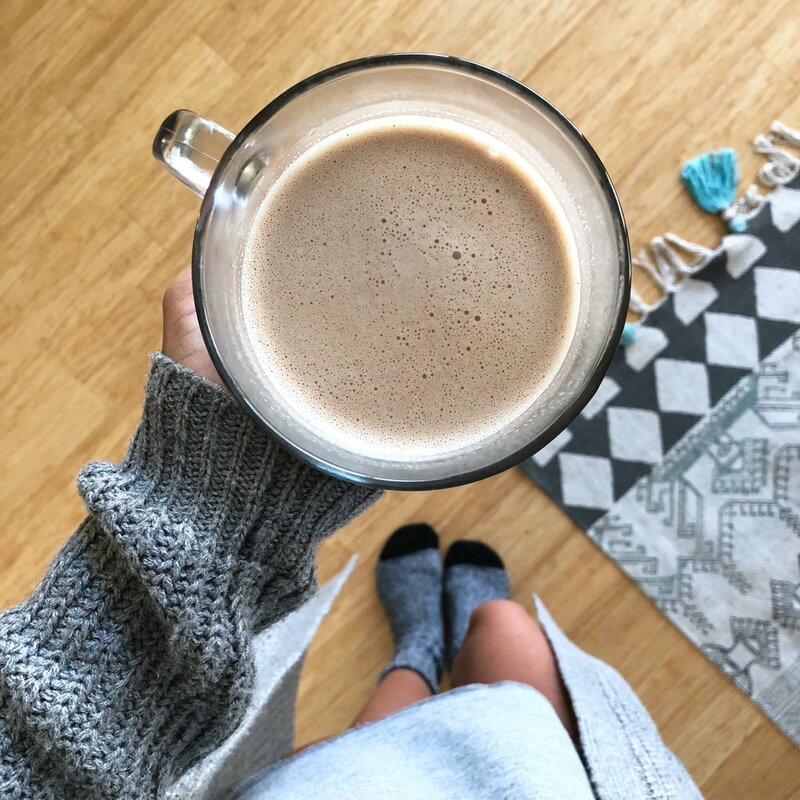 Use code AMBER15 to get 15% off your CACAO MAGIC order at Philosophie! This stuff is SO good.